It’s commonly understood that smell is the most rapid-acting of all the senses, accessing brain receptors before the other senses kick in. This gives it a real advantage in sensory marketing, as scent will normally be the first sense to be acknowledged by the customer, preceding other sensory inputs such as haptic (touch), audio and visual. Why is scent so fast acting? To put it simply, smells enter the nose, where they’re hailed by millions of sensory neurons in the ‘olfactory epithelium’, a specialised area of tissue. After travelling via about 450 different protein receptors, the odour molecules enter the limbic system of the brain and make an immediate impact. Our olfactory physiology is set up for immediate access into the mind and sensory memory – and it’s easy to see how this can be a powerful tool for those reaching out to customers and clients. Why is this important in branding and marketing? Because scent acts with rapidity and stealthy power, it can be a vital and original access point to a brand essence, whichever sector it arises. The study is consistent with the strong neurological relationship between the olfactory and limbic system and has serious implications for the use of scent in zoning retail and hospitality environments. 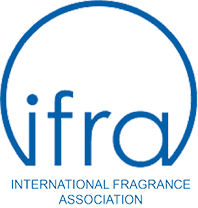 In our world of multiple competing messages which are mostly still visual and aural, a scent makes for an obvious – and immediate – advantage.